We are located just a couple of miles outside of the beautiful riverside town of Dartmouth, Devon (see our full address on the Contact Us page). 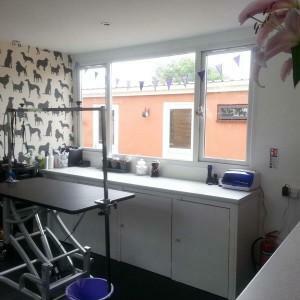 Our open plan salon provides a comfortable and happy environment for your dogs to relax during their groom. 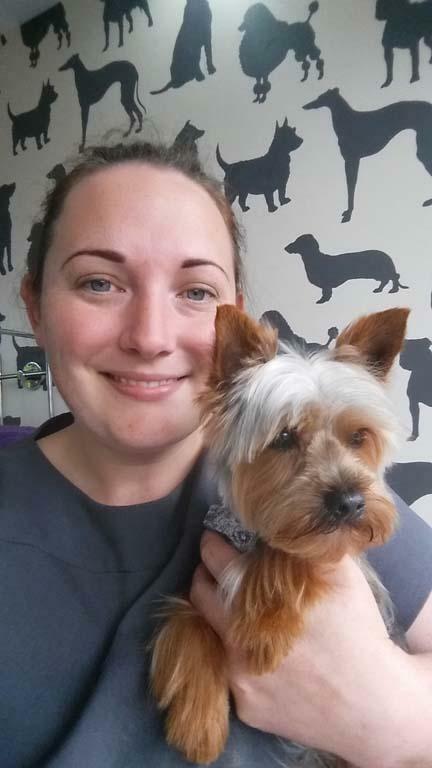 Every dog gets a 1 to 1 pampering service with Helen, our experienced professional Canine Stylist. Hairy Dog Grooming Salon is kitted out with professional grooming tools and equipment, enabling us to offer a wide variety of bespoke packages and premium services. Our Boutique offers a selection of professional quality products to help you care for your pets coat in between appointments such as brushes, combs, fragrance sprays and coat conditioners as well as a selection of accessories and apparel especially for your fur baby. We know that Hairy Dog Grooming Salon is an amazing place as we have been told by many customers who visit us (and keep coming back).But seeing is believing, so come and visit us to see for yourself! I grew up with many pets including a variety of dogs, so being in the company of dogs comes naturally to me. Nowadays, I have a lovely family and an adorable but stubborn Basset x Beagle who thinks she rules the roost and hopefully we will be getting more canine companions to add to our brood soon! It was whilst working for Ashcross Kennels that I discovered how much I enjoy dog grooming because many kennel customers asked for their dogs to be bathed and dried ready for collection. I enrolled on the City & Guilds Level 2 Dog Grooming Assistant course and from then on couldn’t get enough. 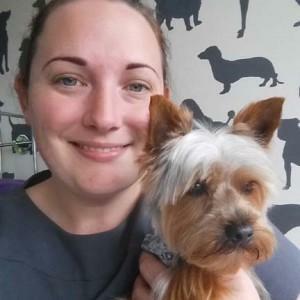 I went on to gain a Distinction in the Level 3 City and Guilds Certificate in Introductory Dog Grooming at a renowned local grooming academy and also have a number of other qualifications gained through attending short seminars and courses to increase and expand my knowledge so that my standards are always top notch. I hold high expectations of myself so will continue developing my skills and expertise further as there is always so much more to learn! I love being able to groom any dog to both breed standards and also pet trims to better suit your lifestyle. Creative grooming is something I am very interested in having studied Art for a big part of my life, so I love to experiment with different styles and techniques when given the opportunity. It is extremely popular in the States and is becoming more and more popular in the UK, so if you are interested in something a little different, please let me know!